$20 off Bowling – Plus! Bowling a is great fun filled entertainment/sport with family and friends. Getting together with your favorite people is so enjoyable. Bowling has been a popular pastime for many. Make great memories and get some exercise all in one! You can join the AMF eClub rewards program and get the most out of your weekly or monthly bowling fun! Start a new bowling adventure if you have been out of the bowling groove or get this deal to continue your regular bowling fun while getting rewards at the same time. With this coupon, you will get $20 off the next bowling visit (up to four people, $5 off each person) Also other benefits include more coupons, offers, free bowling and future deals. Sign up using your email address and you will get emails about upcoming events and promotions. You will get exclusive deals through email right to your inbox. No having to scour the internet to find coupons. It’s free to join, and you must be 13 or older to apply. 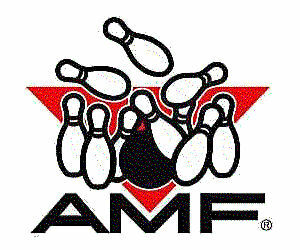 There are AMF Bowling centers scattered around near you. Find your closest one on the website you link to here. Just enter your city and state or zip code and search. Get $$$ off the Silk’n SensEpil Hair Removal System!